The s::can UV spectro::lyser is the instrument of choice for measuring nitrate and nitrite in Annamox applications such as the DEMON® and SHARON® processes, and both are growing in popularity in the wastewater industry. Nitrate and nitrite are notoriously hard to quantify when in solution together. In many cases, this doesn’t matter as nitrite is only present in small amounts and the sum of the two is sufficient for process control. In Anammox wastewater treatment processes, however, being able to separately monitor nitrite from nitrate is crucial. 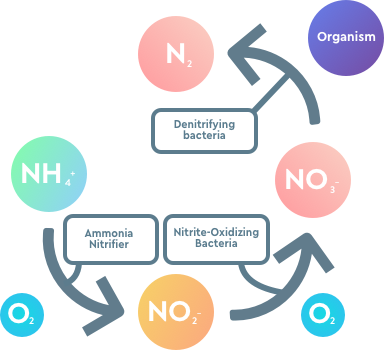 Standard wastewater treatment processes use oxygen and nitrifying bacteria to remove ammonia to nitrogen gas via nitrite and nitrate. In such cases, the amount of nitrite present at any given time is relatively low. 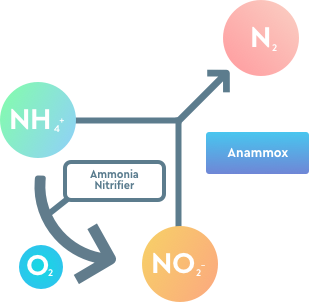 In Anammox treatment processes, the aim is to reduce the amount of energy used and the process is shortened by the partial nitritation of ammonia to nitrite and it’s subsequent denitritation directly to nitrogen gas. In such processes the measurement of nitrite alone becomes critical, firstly to ensure the nitritation process is working correctly but secondly to ensure that little nitrate is being produced. From an analytical instrumentation perspective, this poses an issue. There are two main methods of determining nitrate and nitrite, one is colorimetric and the other uses UV absorbance. Colorimetric methods involve the addition of reagents that react with nitrite to produce a coloured compound that can be measured in the visible region, usually around 550nm. But there is a problem, colorimetric methods not best suited to wastewater samples where the suspended solids can be high. UV absorbance methods for nitrate and nitrite use the fact that both nitrogen containing compounds absorb UV light between 210 and 220nm. In most traditional wastewater treatment processes, separating the response from nitrate and nitrite is not as important because nitrate is the predominant form and you want to measure the degree of nitrification. Additionally, the contribution of nitrite to the UV absorbance in this region is relatively low compared to nitrate, so most manufacturers of analytical instrumentation simply report the result as NO3 and include the NO2 (and assume the contribution from NO2 is small). In DEMON and SHARON wastewater treatment processes this isn’t good enough. Such processes need accurate measurement of nitrite, if any nitrate does occur, then it indicates something isn’t working correctly in the process. Additionally, if you’re not separating the response from nitrate and nitrite, as soon as any nitrate is present, it’s contribution to the UV absorbance overwhelms the response from nitrite. 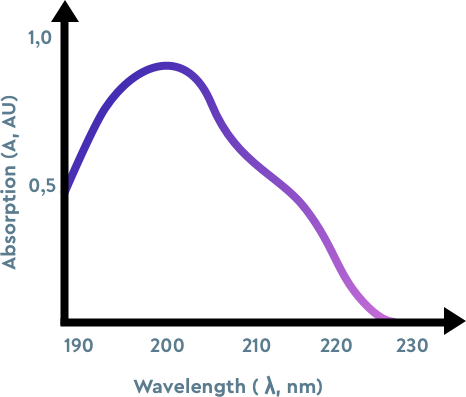 The UV only spectro::lyser takes 256 absorbance measurements across the UV region (190-390nm). This means it can take measurements at approximately every 1nm, enabling it to separate out the response from nitrate at 220nm, from nitrite at 210nm. 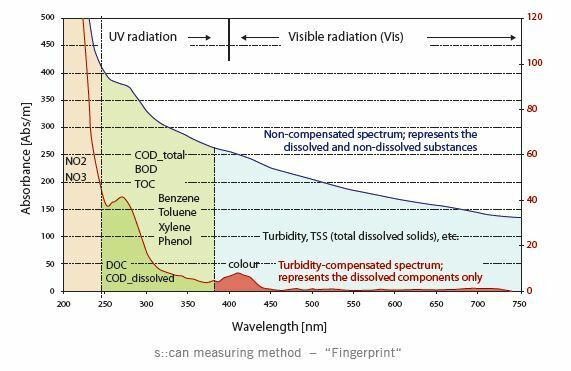 Multiple wavelengths in the UV region are used to eliminate interferences from other compounds that absorb in the UV region. 2: Flexible path length installation and solids compensation algorithms. s::can spectro::lysers can be installed with very small path lengths (0.5 or 1mm) and have a unique way of reducing the impact on absorbance from suspended solids. By measuring multiple wavelengths and building a model of how solids are contributing to the absorbance, it can filter out the effect ensuring that the response to nitrate and nitrite is accurate even in the highly turbid samples that may be seen in the processes. Using a small path length also ensures the sensor doesn’t get ‘blinded’ by high suspended solids. 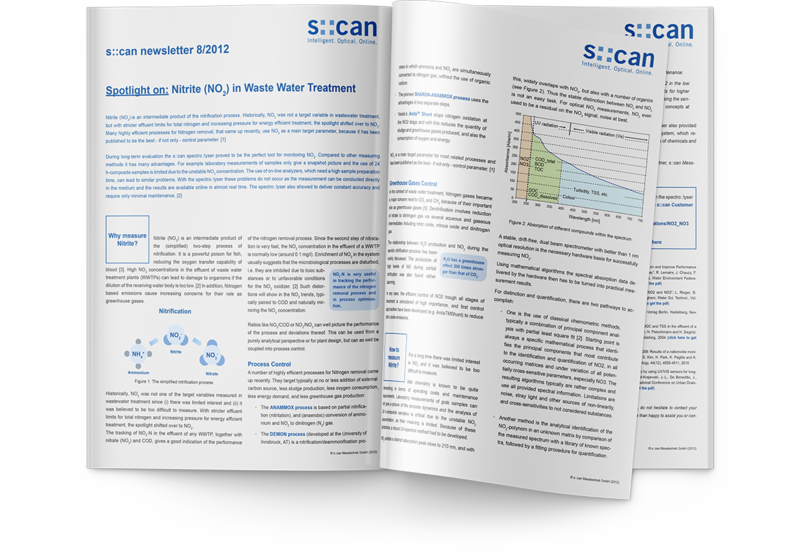 For more information, download this application note. 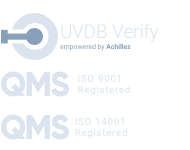 For more information about how the UV spectro::lyser and ammo::lyser are being used in the DEMON application at Knostrop. 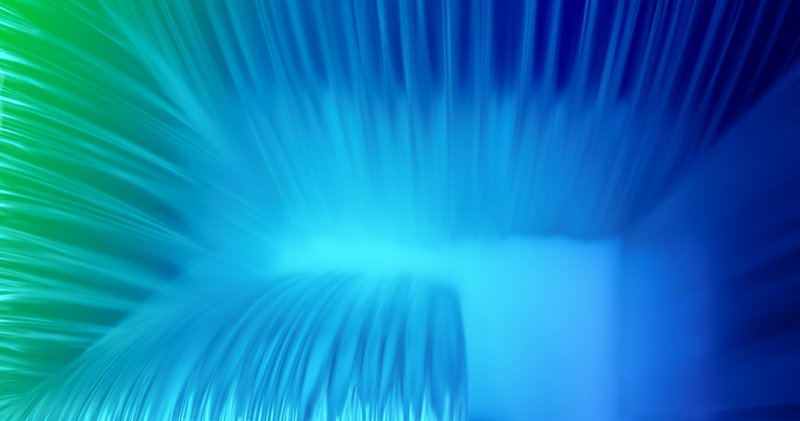 See how the UV spectro::lyser correlates to lab analysis in a wastewater treatment plant.